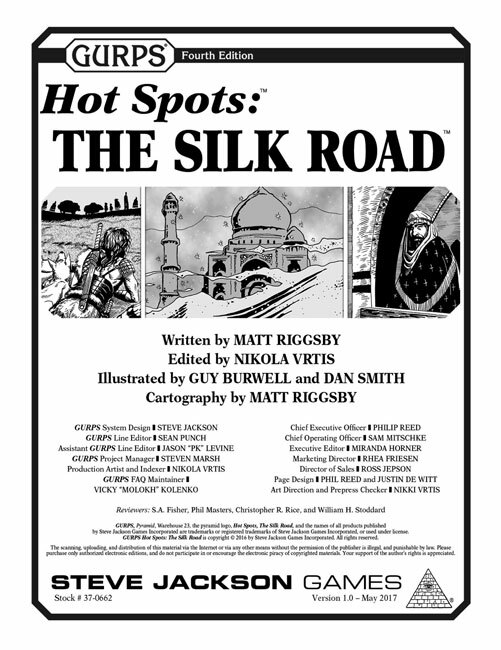 Check out the full GURPS Hot Spots line for more historical settings. GURPS Hot Spots: Constantinople, 527-1204 A.D. may be especially useful! The Crusades intersect with the Silk Road in some interesting ways. Find out more broad information about those conflicts in GURPS Crusades. 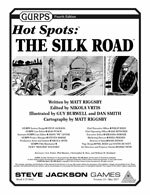 For insight into the technology and techniques used along the Silk Road, direct your travelers to GURPS Low-Tech and the three companion volumes.